Henderson County Sheriff Steven P. Haynes has announced that he will be seeking re-election for a second term as the leading law official in the county. He will be running on the Democrat ticket in the Primary Election on March 18, 2014. Sheriff Haynes career in the Henderson County Sheriff's office began in January 1991, when he was hired as a dispatcher/jailer. A year later he was promoted to Deputy Sheriff. In 1994, he attended the University of Illinois Police Training Institute. Between the years of 1999 and 2001, Sheriff Haynes was assigned to the West Central Illinois Drug Task Force. He completed Basic Narcotics Training, as well as attending the Illinois Drug Enforcement Officer Association Training. 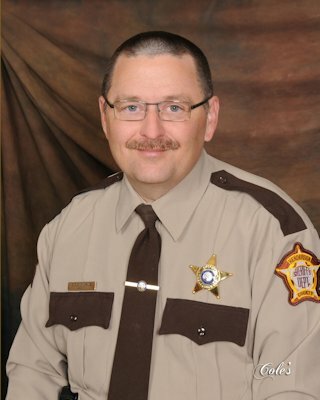 Sheriff Haynes was the night patrol officer for Henderson County between 2001 and 2003, following which he was promoted to Sheriff's Investigator. He has received many training courses over the years and has upheld his vow to county residents to use all the resources available to him to fight the drug and theft problems in the county. Since becoming Henderson County Sheriff, Haynes has maintained the Crime Stoppers Program, implemented by the former Sheriff. He has also initiated a Sheriff's Report in local papers to keep county residents informed on the activities of the Sheriff's Department. Sheriff Haynes implemented placing a police log onto a computer, rather than a paper daily log. He has updated the Henderson County Court Security System and purchased a rescue boat from Oquawka Boats on local donations. "It has been an honor and a privilege serving the citizens of Henderson County for 23 years," said Sheriff Haynes about his many years working in the capacity of law enforcement. Sheriff Haynes resides in Stronghurst with his wife and children.